Fresh. Loud. A little different. 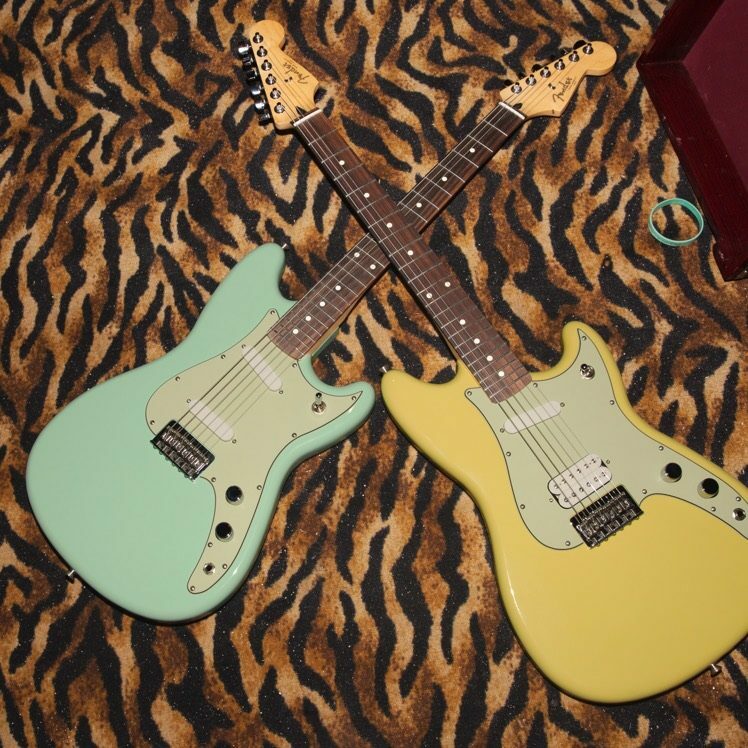 Fender Offset guitars and basses defy definition – kinda like the artists who play them. So, we gave three of those artists total creative freedom to show off how their Offsets inspire them. 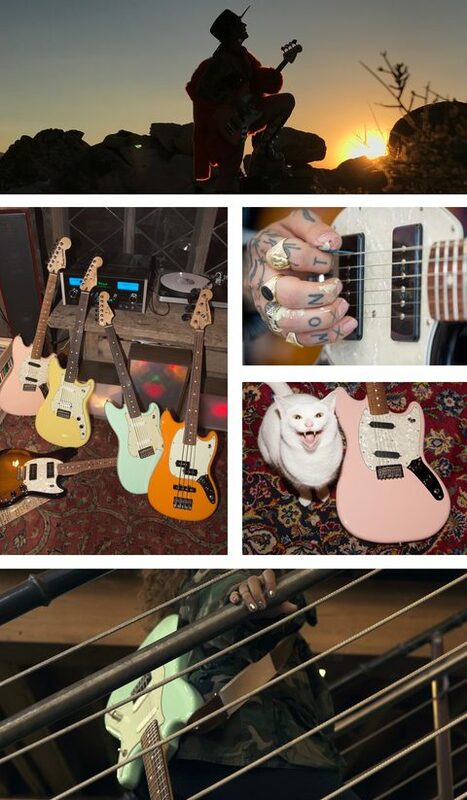 With their short-scale necks and lightweight bodies, these new pastel-colored Offsets are easy to play and ready to make some noise. A cult favorite, the Mustang has evolved from a student-oriented model to the underground champion that laid the foundation for grunge and modern alternative rock. 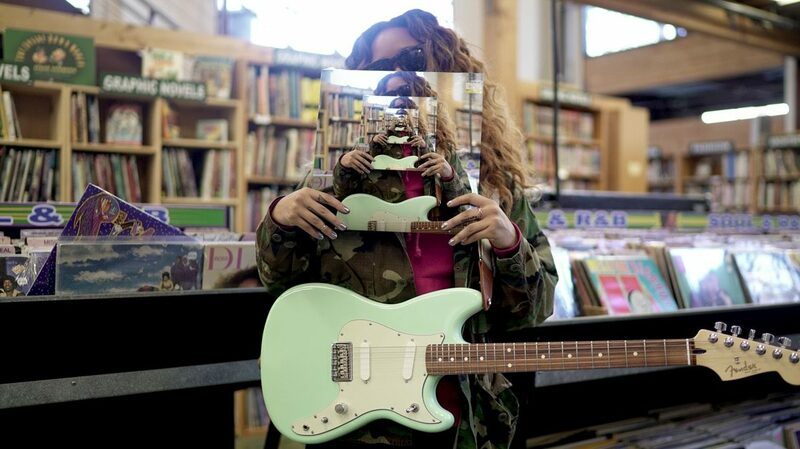 Perfect for musical styles that thrive on nonconformity, Mustang guitars stay true to the rebellious spirit that birthed rock ‘n’ roll. Since its debut the Duo-Sonic has become the unsung hero of the alternative underground, thanks to the compact form that belies its giant-sized sound. 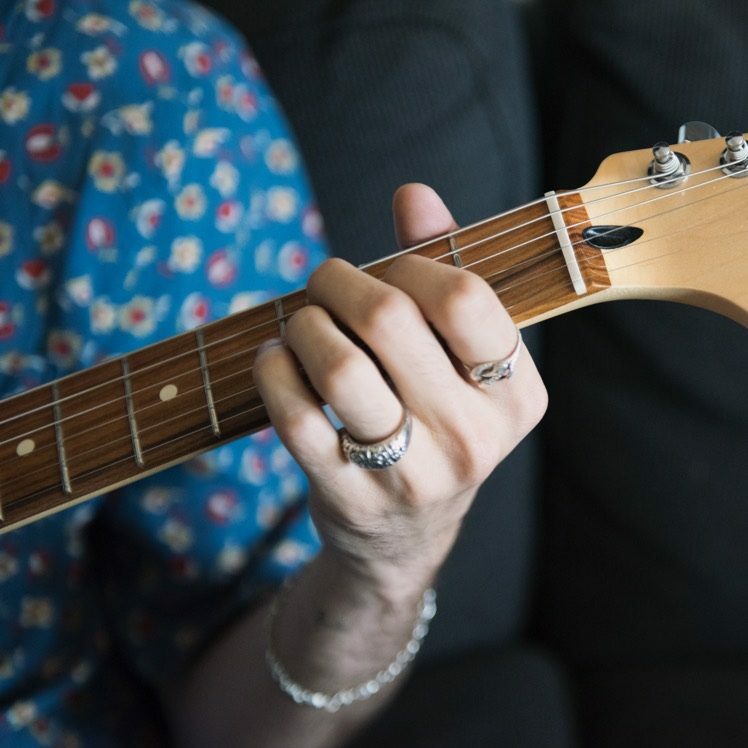 Surprisingly hip guitars with upgraded contemporary features, they feature slick style and a unique sound that’s perfectly at home in modern music. 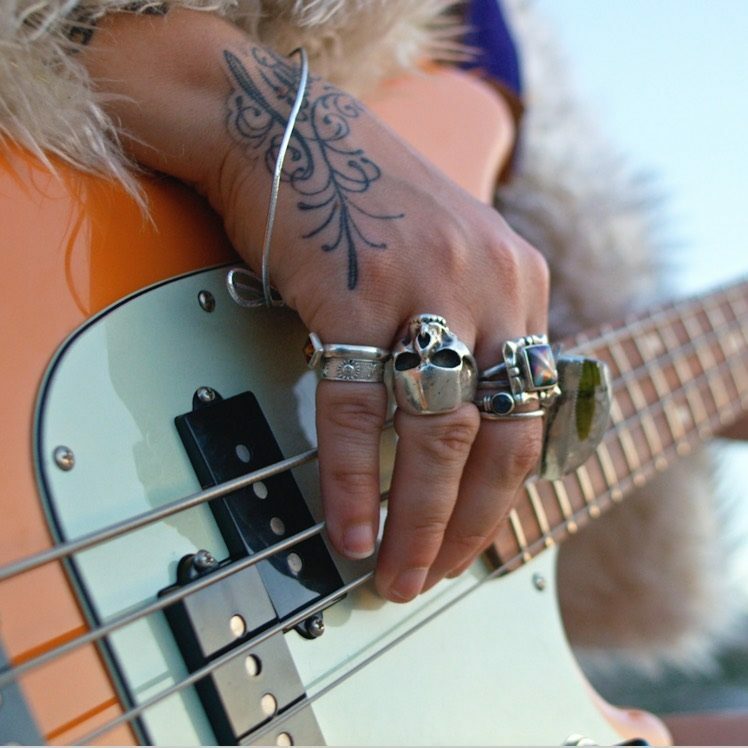 Perfect for players that march to a different beat, the short-scale Mustang Bass is an unconventional instrument with trend-setting slick visual style and thunderous bass tone. A spirited instrument, this underground hero stands out from the pack with a form that’s easy to play all night long. 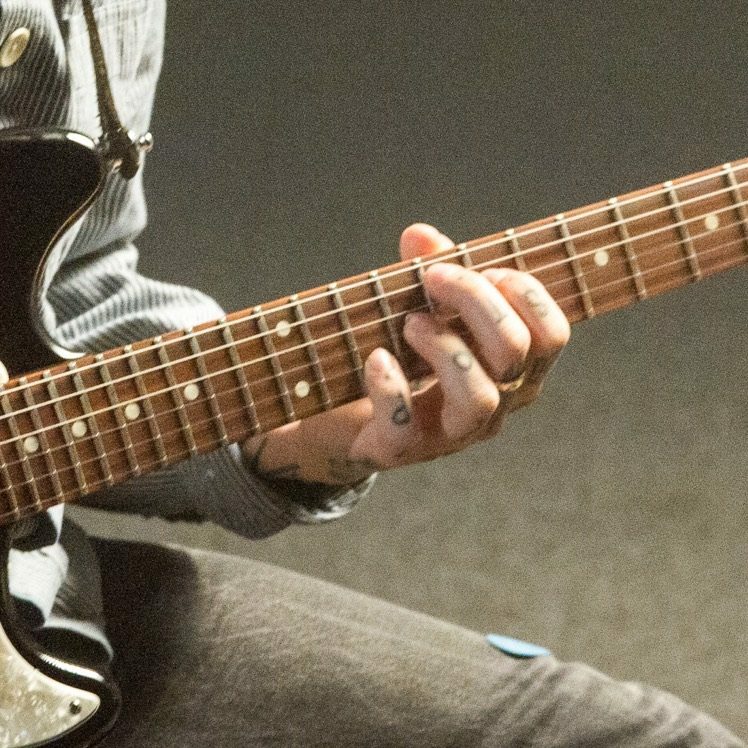 Scrappy and lean, Mustang guitars are genuine stage-ready beasts. Plug one in, turn it loose and let your voice be heard. 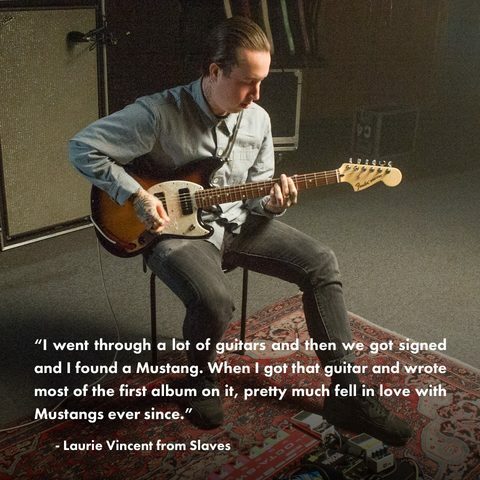 Slaves guitarist Laurie Vincent calls his style of D.I.Y. 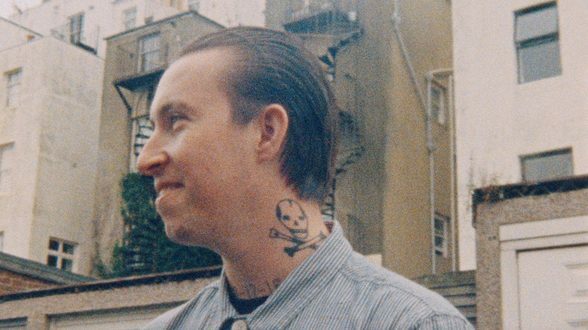 punk “primal,” but there is more to it than what one simply hears on the surface. “Our music is basic and simple, but primary colors—when you use them—are usually the most effective,” he says. “They’re bold and they slap you in the face. 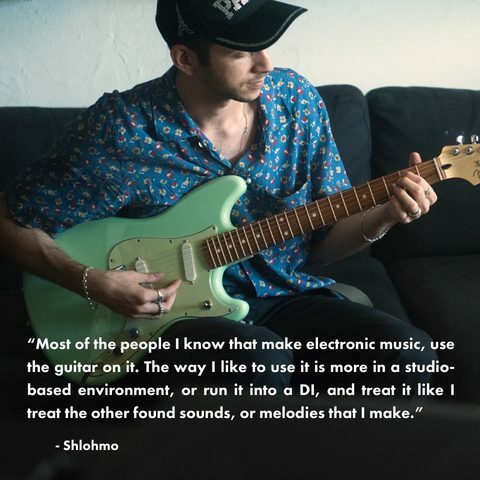 That’s the general sentiment in the band, but beneath it there’s a lot of depth.” That notion hits home in his Fender Offsets feature, where director Chris Hugall captures Vincent and his band doing what they do best in the studio—making art that speaks to that hits hard but has textures beneath the initial smack to the senses. 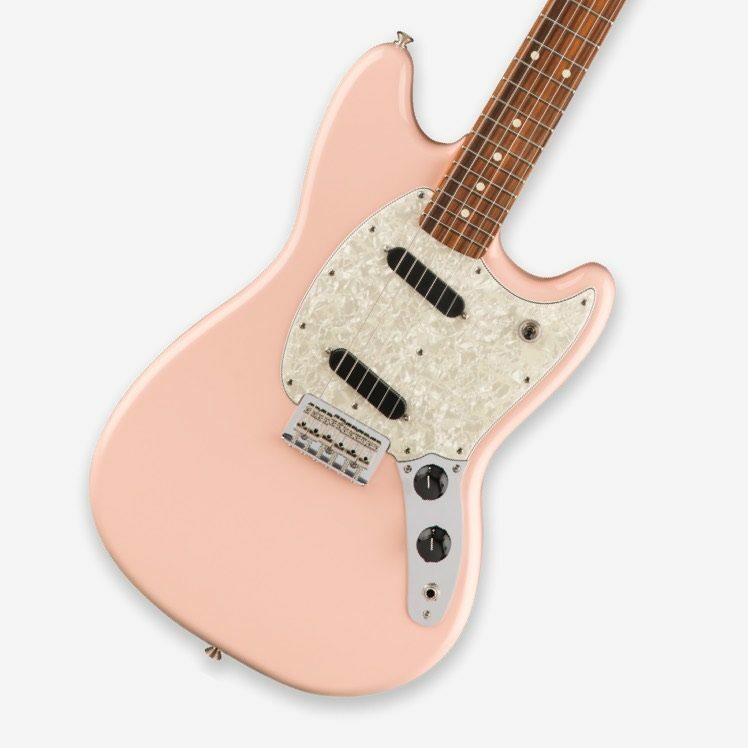 This shorter scale was originally offered during the 1960s on Fender classics such as the Duo-Sonic, Jaguar and Mustang guitars. The 24” scale gives the guitar a slightly looser, slinkier feel while remaining an authentic Fender design element. 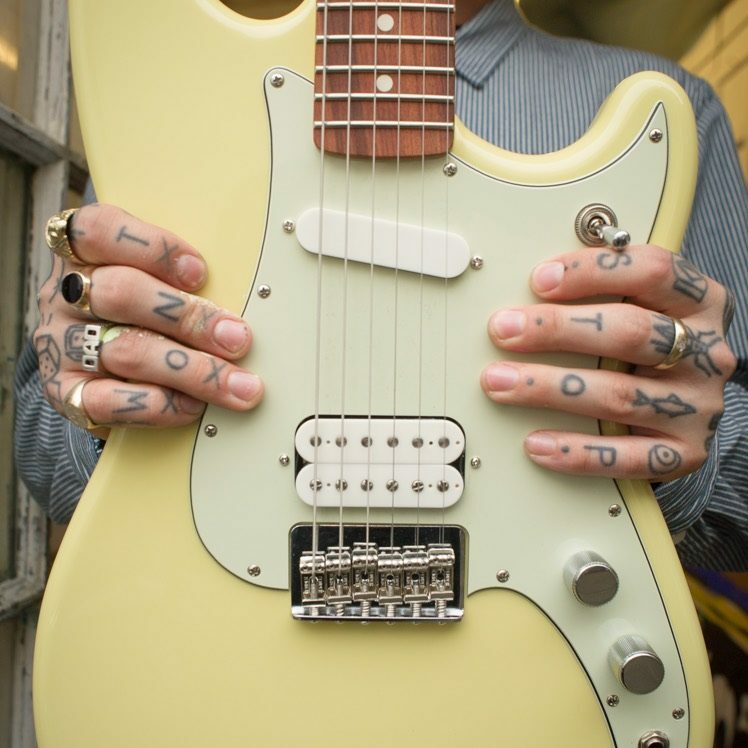 Mustang single-coil pickups deliver clean and pristine to earthy growl. The specially voiced MP-90 single-coil pickups contribute to the full-sounding voice of the Mustang 90, casting an already distinctive classic Mustang model in a whole new sonic light. This model features a hardtail bridge, rather than the classic tremolo. A string-through-body bridge enhances vibration transfer resulting in increased sustain while the six individual saddles can be adjusted for precise intonation along each string. Duo-Sonic guitars deliver the giant sound of three-chord rebellion. Plug them in, turn them up and create something new. Mysterious R&B artist H.E.R. has largely kept her identity a secret, preferring that fans focus on the music. 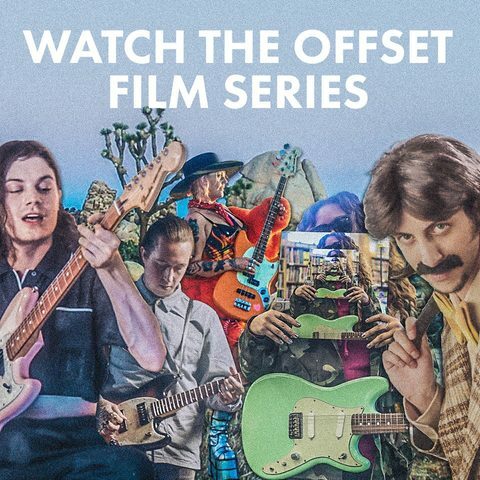 But in this Fender Offsets vignette, she pulled back the curtain to give fans a look at what drives her, pairing current live footage with vintage home videos. Teaming with director Shane Adams, H.E.R. spoke to her musical roots. From watching her father’s band perform at the young age of 5 and subsequently diving into the catalogs of guitar heroes like Eric Clapton and B.B. King, H.E.R. shows why she is truly one-of-a-kind. 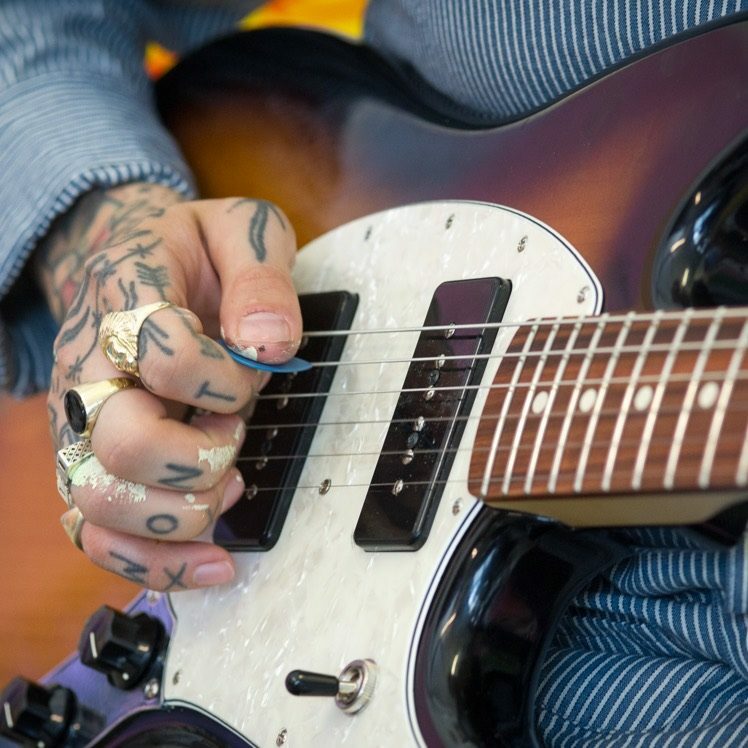 Clear and punchy-sounding, Duo-Sonic single-coil and humbucking pickups add a unique character to the guitar’s voice. Pure Fender tone shines through with enhanced upper harmonics and an articulate midrange that easily cuts through a mix. 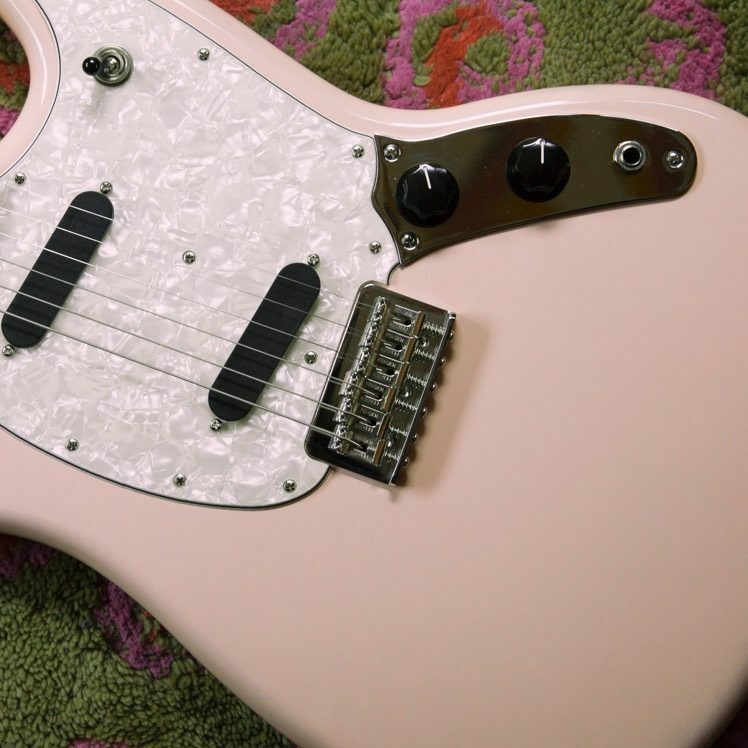 The short-scale Mustang Bass brings the thunder with its seismic tone. Plug in and conquer the audience with this underground hero. Elle King definitely defies genres, with influences ranging from Hank Williams to AC/DC to Aretha Franklin showing up in her blend of rock, country, soul and blues. 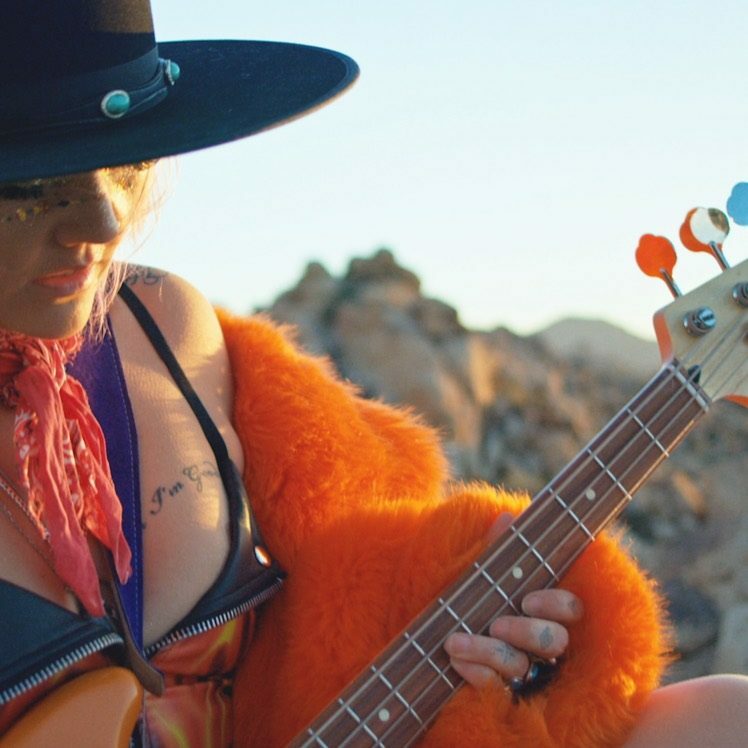 So when she tapped director Matt Sukkar for her Fender Offsets feature, it made sense to tap the mystical Joshua Tree National Park for a backdrop to showcase her signature style. What cosmic thoughts run through King’s mind when she decamps to the desert in an Airstream trailer? “I have so many questions,” she says. “I want to know where meteors come from and what happens to them. 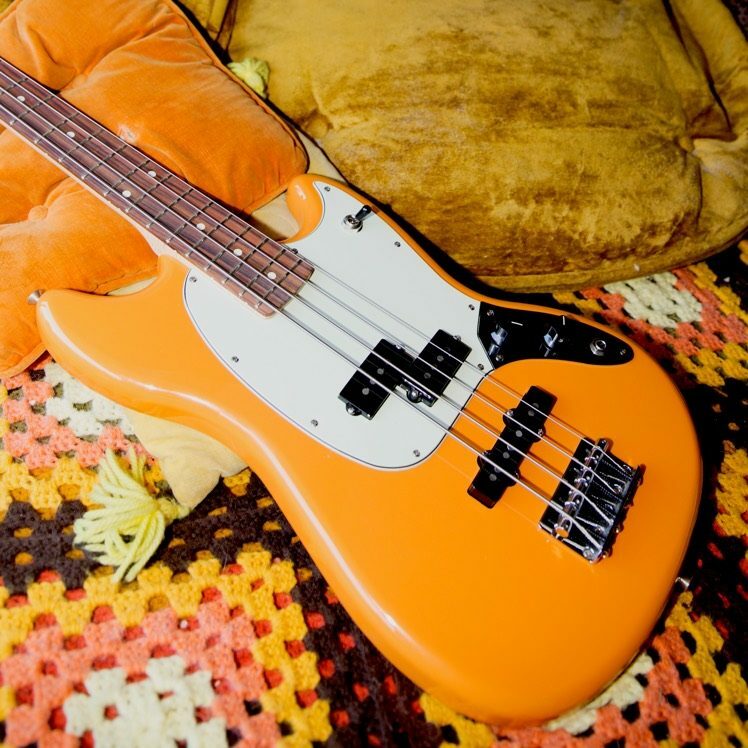 Do they just go until they burn out, or do they just go farther into outer space?” All good questions to ponder while playing her Capri Orange Mustang Bass. 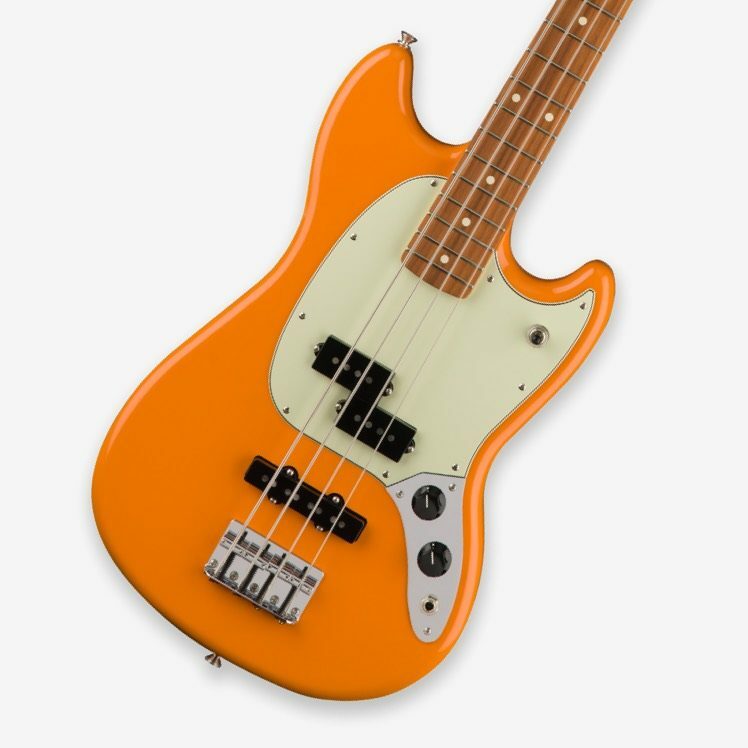 The Mustang Bass features Fender’s classic short scale length (30”) making it comfortable for students and beginners, smaller players and anyone who enjoys the easily reachable range of a short-scale bass. This bass features a modern neck designed for comfort and performance, with a contemporary “C”-shaped profile (the shape of the neck in cross section), 9.5” fingerboard radius and medium jumbo frets.